Ensures that Scouts Canada has the necessary safety framework in place to achieve its safety leadership aims. Acts as custodian of the organization’s risk management framework, ensuring regular reviews and updates based on organizational experience. Ensures sufficient processes are in place to assure compliance to Scouts Canada’s safety and risk management policies. Oversees Scouts Canada’s incident management process; case management of youth protection matters; ensures incidents are appropriately investigated and that root causes are employed to support learning and improvement of organizational practices. Works collaboratively with Scouting Experience teams to ensure safety tools and resources are available for all members and key stakeholders. 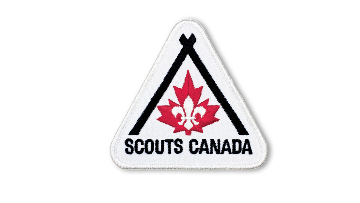 Provides leadership and support to Groups, Areas, and Councils to ensure effective responses to safety complaints and incidents as well as to the Safe Scouting team including support to Scouts Canada Volunteers who are concerned for the welfare of youth entrusted in care. Member Focus – Demonstrates commitment to increasing member satisfaction, assumes responsibility for solving problems, ensures commitments to members are met, solicits organizational and personal performance feedback from members. We offer a comprehensive benefits package that includes a fabulous merchandise discount; an employer-matched retirement plan after one year; extended health, prescription, vision and dental coverage, and more! If this role excites you, we want to hear from you! Please take the time to tell us about yourself in a cover letter — we want to hear your story — your background, your accomplishments, and why this role is a good fit with your future career aspirations. We want to learn about you! Scouts Canada encourages applications from all qualified candidates and has a great record of accommodating persons with disabilities. Contact Human Resources at humanresources@scouts.caor 613-224-5134 ex 252 if you need accommodation at any stage of the application process or want more information on our accommodation policies.